Our hostel is situated in the very centre of Cracow in the typical Cracow tenement house (one of those buildings that make this town so magical and unique). 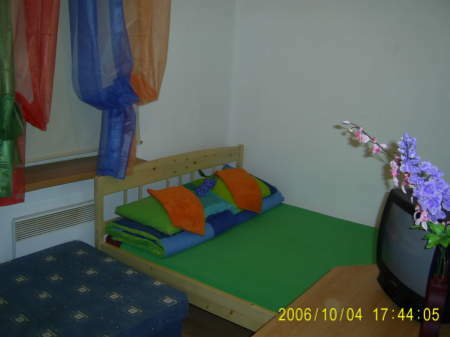 7 minutes from Main Market Square, really close to tourist attractions like : The Mariacki Church, The Wawel Castle, Kazimierz - the Jewish quarter, historic monasters and synagogues . They are located 5 - 20 minutes on foot from our hostel, and when You'll be walking towards any of this attractions You will be passing throu pre-war part of the city where You can admire monumental and historic buildings. For those who don't like to travel by foot, there are bus and tram stops 3 minutes from hostel. We don't have in our hostel crowded rooms. There are only double, triple and quad rooms, all of them private and bright. 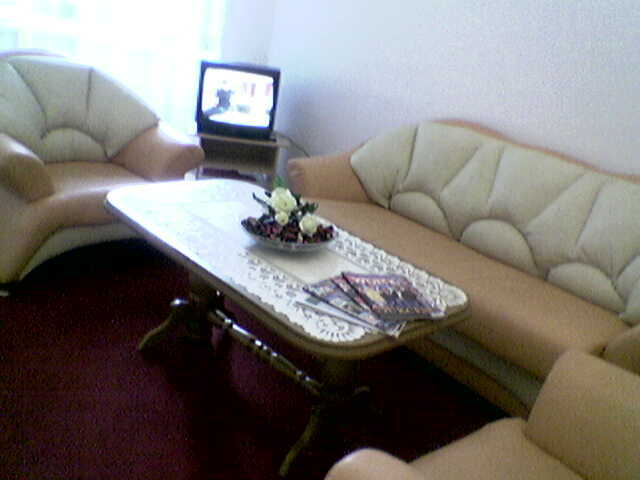 Every room is equipped with closet, table, chairs, and most of them with tv. For every four or five rooms there is a bathroom and toilet. Our staff is willing to help You in any matter you will need; arrange trips to Wieliczka, Zakopane, Auschwitz, museums, pubs, cabarets, sports events, water park, kopiec Ko&#347;ciuszki, rafting, bike tours and others. If you will need translator or guide we will find You one that is tested and professional. * For additional 5pln per person You can order breakfast served to You room. Unfortunetly we don't have a kitchen. In the event of no-show, guest has to pay for reservation (whole price ). Guest can cancel his reservation till 2days before his arrival. From the railway station (Krakow Glowny): if you want to walk to our hostel, You need to turn in to Basztowa street and then to Dluga street or You can just ask for Dluga Street - it will take You about 7 minutes to get there on foot. If You rather not to walk, You can take tram number 5 and get out on the second stop called 'P&#281;dzichów' , Aston Hostel is situated on the same side of the street You get out. From Airport You need to take bus number 292 and get out on stop named 'Nowy Kleparz' from there You need to turn into Dluga street., and find number 41, it's us! You can also take train from airport and get out on central railway station ( Krakow Glowny).